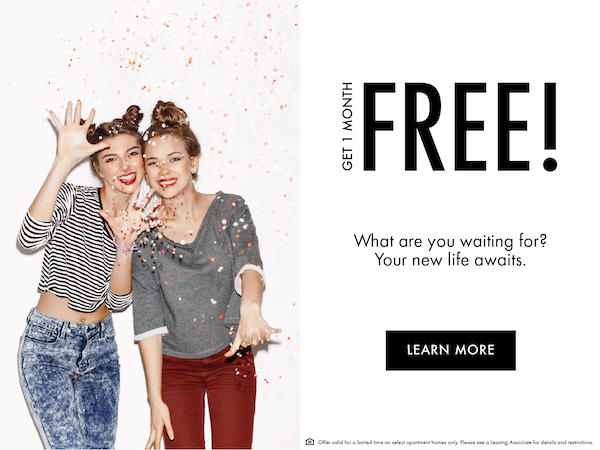 Up to 1 Month On Us! Lease today and receive up to one month on us. Offer valid for a limited time on select apartments. Please see a Leasing Associate for details and restrictions.